Wondering how much water your lawn needs this week? Each week Tarrant Regional Water District provides watering advice based on accumulated or anticipated rainfall. Visit Water is Awesome or Save Tarrant Water.com to check for other North Texas areas. Check out the archives below to view year-to-year monthly rainfall reports in Trophy Club. View a yearly summary of rainfall around town. Many thanks to our volunteers for collecting and reporting rainfall amounts. Any rainfall we receive reduces the need for watering, so they’re helping all of us conserve water! Volunteers empty their rain gauges each morning and report the total for the preceding 24-hour period, so the number for Monday includes rain from Sunday morning to Monday morning. Some volunteers report the data from their own weather stations. Would you like to become one of our Rainfall Reporters? Contact us. (Free basic rain gauge provided). 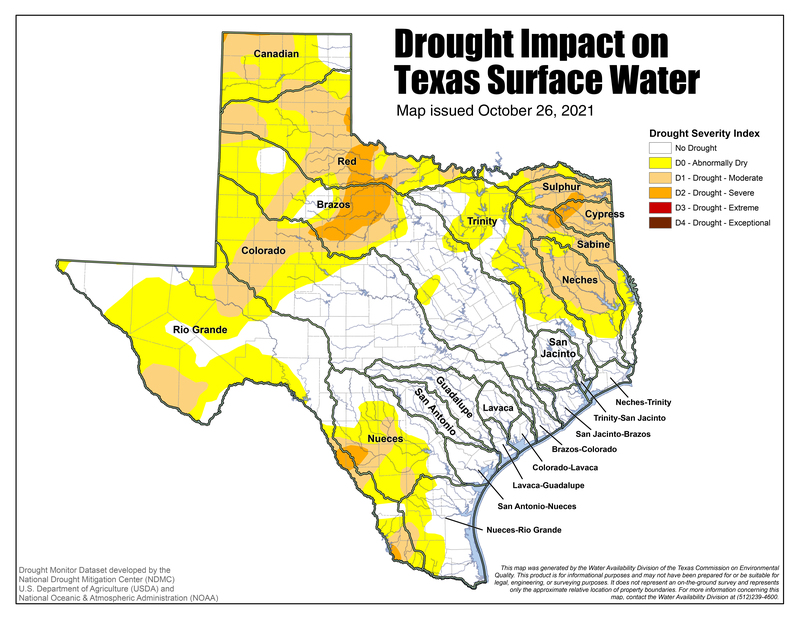 For additional information on drought in Texas visit Texas Commission on Environmental Quality.